Sally Lindsay reveals Lisa starts a war with the new neighbours in Mount Pleasant! What does your character, Lisa Johnson, make of Mount Pleasant’s new family, the Millers? Do things get really competitive between Lisa and Jenna? 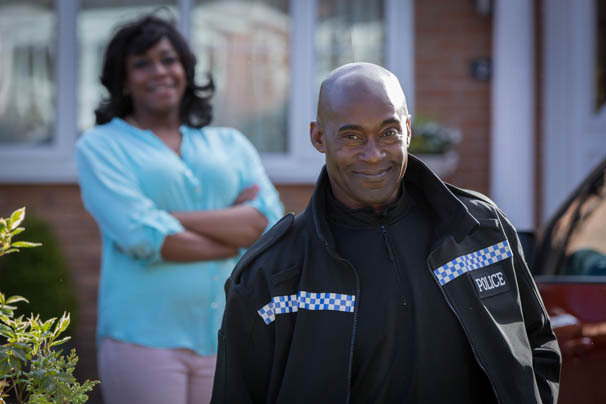 Are Lisa’s husband Dan (Daniel Ryan) and Jenna’s husband Cameron (Casualty’s Patrick Robinson) arguing too? Is there any anything else we should know about the Millers? Is there another reason why Lisa becomes so obsessed with the Millers? Why do you think Mount Pleasant’s still so popular with viewers?